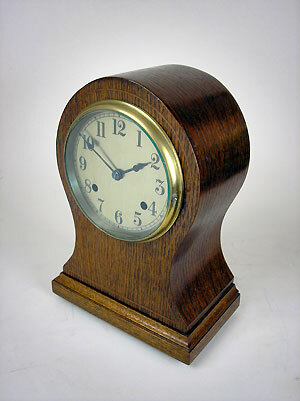 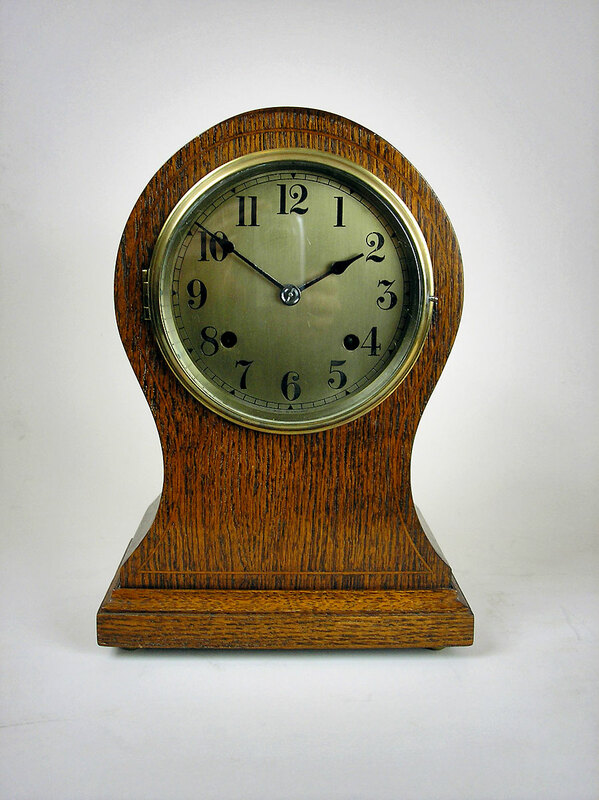 This is an English oak-cased balloon clock with an eight-day gong-striking movement. 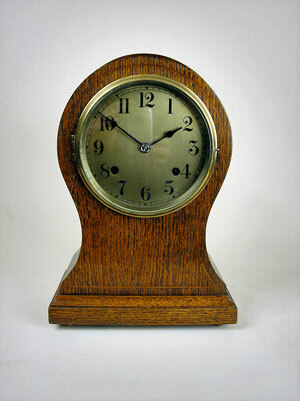 The clock has an engraved, silvered dial and cast brass bezel. 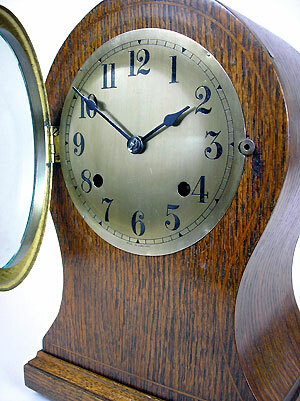 The case has satinwood stringing to the front and stands on brass ball feet.